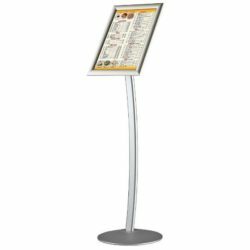 Restaurants or coffee shops can insert their menu and present them to hungry diners even outside of the establishment. 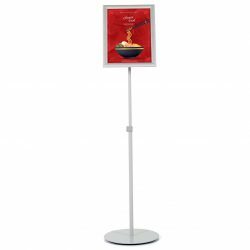 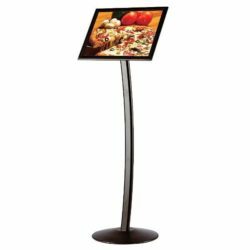 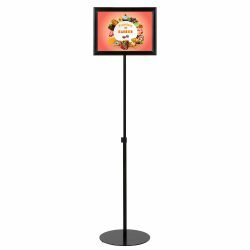 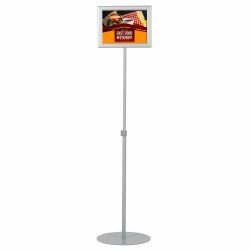 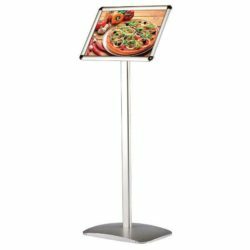 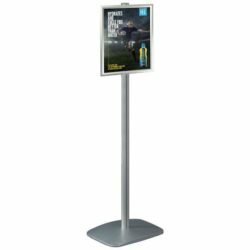 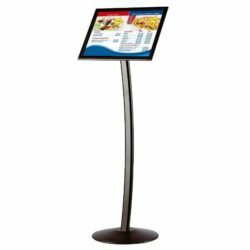 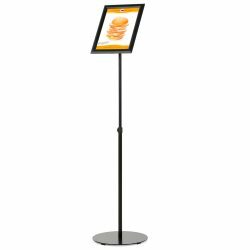 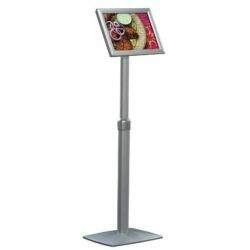 The snap frames of the floor signs allow you to replace the prints as often as you need – whether presenting a lunch promotion or a dinner special. 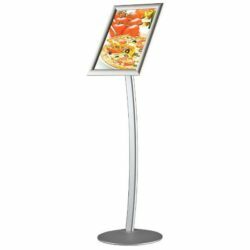 Its budget-friendly price and durability make it a good investment for your marketing efforts. 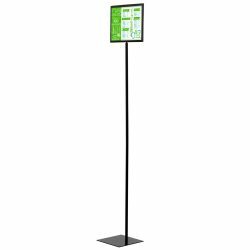 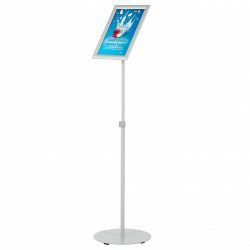 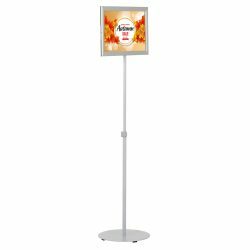 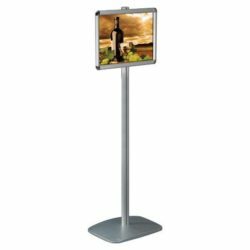 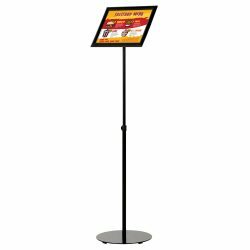 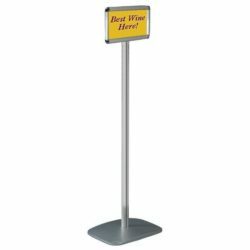 Floor signs are made of aluminum stands with heavy bases for stability. Industry-standard profiles are available as well. 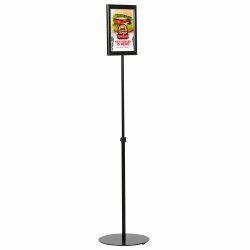 Floor signs frames are made of durable backing and a clear acrylic cover. 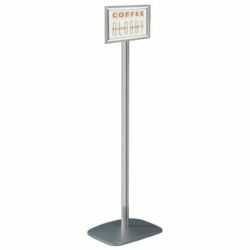 Borders can be anodized aluminum, powder-coated in color or can be customized to wood finish.